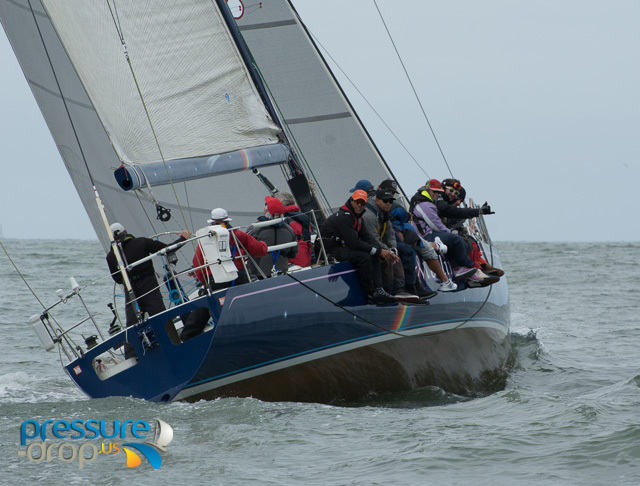 LOS ANGELES, CA - Race managers at the Transpacific Yacht Club are pleased to announce that next July's 50th biennial edition of the 2225-mile Transpac race from Los Angeles to Honolulu has set a new record of 82 entries to date. The previous record was 80 entries 40 years ago in the 1979 edition of this classic ocean race first sailed in 1906. "We knew this 50th edition would be popular, and we're really pleased to see this exceptional interest in the race," said TPYC Commodore Tom Hogan. "There have never before been so many teams entered so early in the cycle. This really helps our planning because we have high standards for giving everyone who participates the very best in Aloha hospitality when they finish." The current fleet of entries is a vast assortment of offshore monohulls and multihulls, ranging in size from the 31-foot A Fond Le Girafon, Charles Devanneaux's brand new foil-equipped Beneteau Figaro 3, to Manouch Moshayedi's Bakewell-White-designed Rio 100, the reigning Barn Door Trophy winner in the 2017 edition of this race. In early 2019 this fleet will be divided into several classes according to speed and boat type, along with their starting dates. The slowest boats in the fleet will start first on July 10, 2019, with additional starts planned on July 12th, July 13th and possibly a fourth start date for the very fastest monohulls and multihulls. 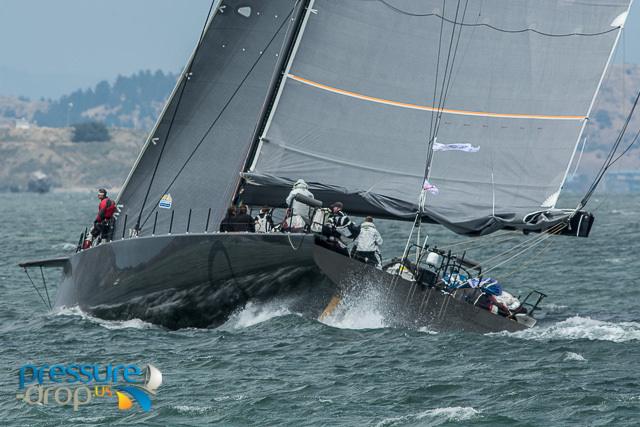 The current race record for monohulls, held by the VPLP-designed 100-footer Comanche - skippered by Ken Read for owner Jim Clark - was set last year on an amazing time of 5 days, 1 hour, 55 minutes 26 seconds. The multihull record was also set last year by HL Enroe's ORMA 60 Mighty Merloe for an equally remarkable elapsed time of 4 days, 6 hours, 32 minutes, 30 seconds. For Transpac 50 the fastest monohull will win the first-to-finish Barn Door Trophy, while the fastest monohull with manual sail handling systems, fixed appendages and other requirements specified in Amendment 1 of the Notice of Race will win the Merlin Trophy. This award is named for the legendary Bill Lee-designed and built 67-footer from Santa Cruz that in 1977 set a course record that stood unbroken for 20-years and helped start a new genre of fast ultra-lightweight offshore racing yachts. After Lee campaigned her on her 40th anniversary Transpac last year, and she is competing once again in Transpac 50 under the new ownership of Chip Merlin from St Petersburg, Florida. 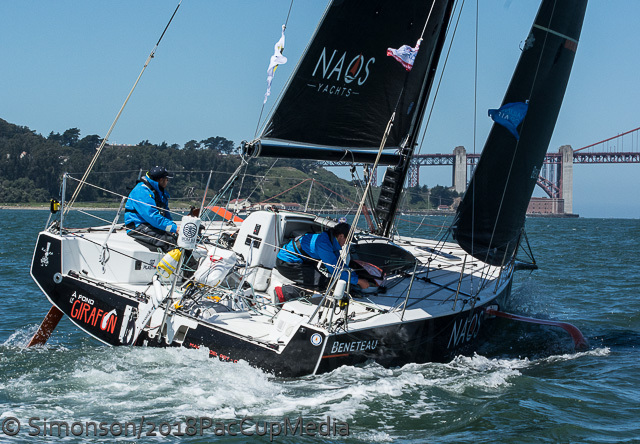 Among the dozens of beautiful and historic trophies awarded for this race, a new one is added: the Nash Family Corinthian Trophy, which will be awarded to the fastest all-amateur crew sailing a monohull yacht in the race. Teams that want to be eligible for this award must have all crew confirmed as Group 1 sailors under the World Sailing Classification Code. "The Board at TPYC feels it's important to celebrate the achievements of skilled amateur offshore sailors," said Commodore Hogan. "We recognize them as the backbone of the history and tradition of this race and offshore sailing in general." Another addition to the Notice of Race is a technical one: the wind matrix used for scoring this 2019 edition of the race. This is important because ratings of the boats are calculated using their predicted performance racing at these wind speeds and angles, a model based on average observed conditions in the Transpac. This approach produces the fairest possible type of scoring for such a long offshore race. This record fleet includes brand-new designs, such as the foil-equipped Figaro 3. This design built by Beneteau with appendages designed by VPLP in France features retractable curved side foils that provide enough lift when deployed on the leeward side to help create more stability without having to add excess weight to the keel or by employing a water ballast system. Dozens of this boats are being built and sailed in the popular and highly competitive shorthanded offshore racing scene in northern Europe. The challenge for new Figaro 3 sailors will be to know how to use the foils to optimize their performance in this new and highly-innovative design. Meanwhile for some of the oldest boats on the entry list the race has already begun, with the challenge being a race against time to be ready for the start next summer. Among these is a classic yacht type whose roots are tied to the Transpac: the legendary Cal 40, designed by Bill Lapworth and built in the 1960's by Jensen Marine in southern California. When introduced, the Cal 40's hull lines, displacement and sail plan were all innovative for this era, and the design won numerous offshore races both in the Pacific and beyond. Fifty years later this boat is considered a classic. 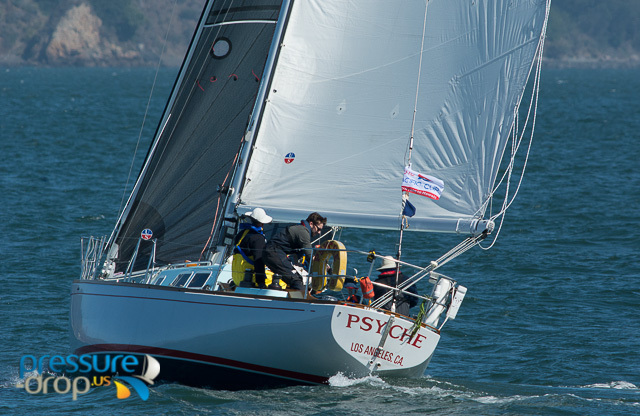 "We were really lucky to find a Cal 40 available and in good shape, and which has a rich Los Angeles YC heritage even though it has been out of the area for many years," said Tom Munzig, current owner of Mystic. "We have her now with Doug Grant, who is a wizard at restoring these great boats. Structurally the boat is in good shape, but there is a lot of work on the wiring and some fittings. It will be a long process but we're excited." 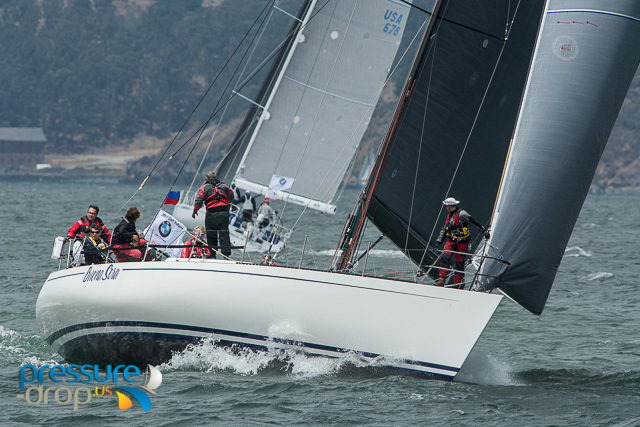 In all, there are 7 Cal 40's entered now in Transpac 50, with maybe a couple more coming too, making this classic 50+ year old design the most popular boat type in this race. Transpac 50 also wants to recognize and thank the numerous sponsors who have signed on thusfar to support Transpac 50. These include: Mt Gay Rum, Reyn Spooner, Pasha Hawaii, Circle Porsche, Gladstone's Long Beach, SD Boatworks/Marlow, L. Gaylord Sportswear, and the latest race sponsors, Whittier Trust and the Prince Waikiki Luxury Hotel.